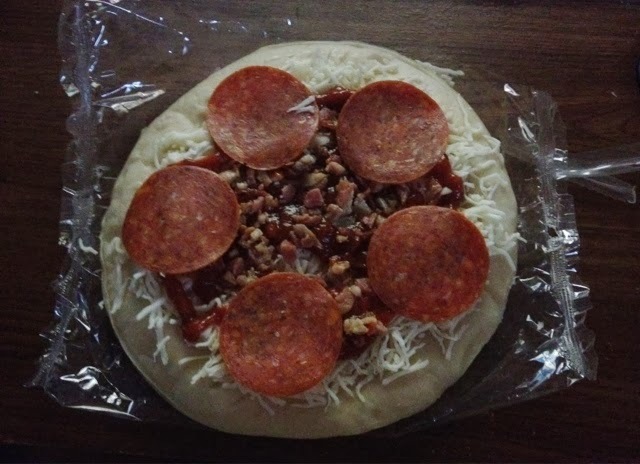 I am baking this cute pizza right now for my two cuties. I grabbed a box when we went grocery shopping last weekend. I know my daughter will enjoy making/fixing this for both of them. Well, my son doesn't care what he eats at all. As you can see on this previous photos, he is chubby most especially his cheeks where he stores most of his food. :D Just kidding, folks. I know that Subway has pizza this size but they're very expensive but I still love their food. I used to get one of their sandwiches all the time but now I am hooked on their salads. 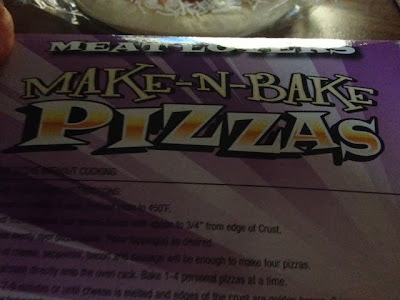 We had their thin crust pizza (flatizza) once for the kids to eat and it was good. So I thought I should try something that's affordable and bake it at home. Well, I like snatching their food, and so far… it's delicious and I am going buy more next time.